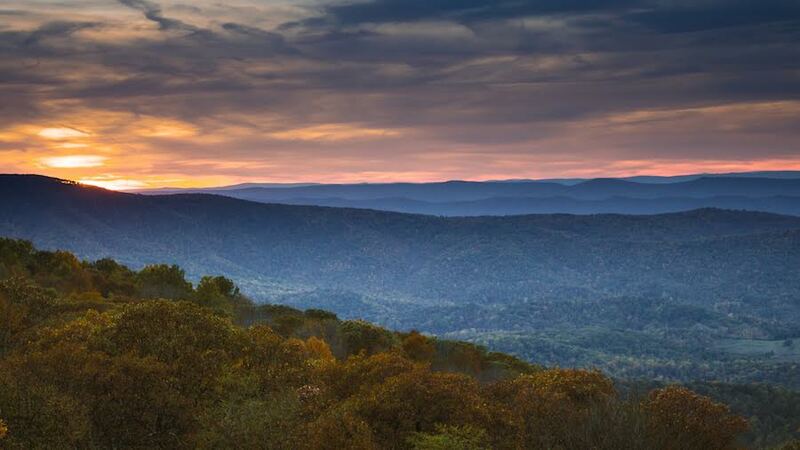 With 200,000 acres of protected wilderness, Shenandoah National Park is perfect for any adventure seeker. 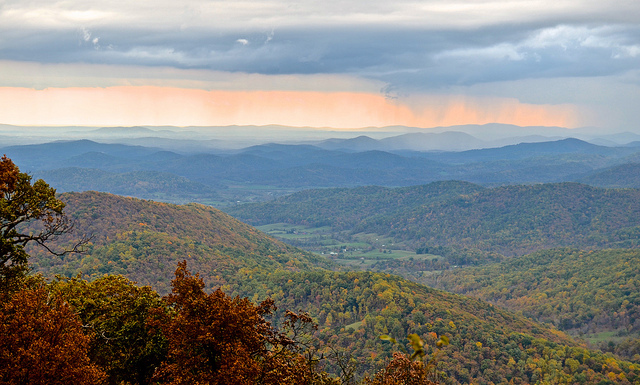 Shenandoah offers views along the scenic Skyline Drive and plentiful trails for hiking enthusiasts of all ages. Just 75 miles from Washington D.C. and less than 30 minutes from Charlottesville, SNP is ideal as a weekend getaway or as a spot to polish backcountry skills. The park charges $20 per car for unlimited weeklong access or $40 for an annual pass. Tight on money? Visit during National Park Week from April 16-24 to take advantage of waived entrance fees. Here are ten overnight trips we recommend to anyone looking to experience some of Virginia’s best wilderness. Relatively flexible, the length of this trip can depend on how far you need to go to find a suitable campsite for the group. Opting to take the Hazel River Trail–a good choice if avoiding flooded streams, can also extend the loop. With a small cave and waterfall, this short trip has a lot to offer and is suitable as an introduction to backpacking. You can find the trailhead at the Meadow Spring Area off of MP 34. This trip is a slightly longer circuit for those looking to spend two nights in the wilderness. Several beautiful waterfalls lie along the trail, and the first night will be spent at the well-known Big Meadows campground. 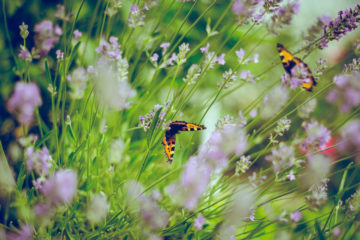 While a wonderful place to break camp, Big Meadows is very popular and can fill up quickly during peak hiking seasons. Plan ahead to arrive early if this is your desired destination. You can find the trailhead at Milam Gap off of MP 53. Big Run Loop is also a flexible trip, with the length increasing from a base 6.8 miles depending on how far along Big Run Portal the group desires to go for exploring or finding a campsite. The Big Run wilderness valley has excellent open harvest fishing and is generally worth exploring. There are multiple stream crossings on Big Run Portal, check the weather before heading out as to avoid heavy rains. You can find the trailhead at Big Run Overlook/Doyles River Parking off of MP 81. 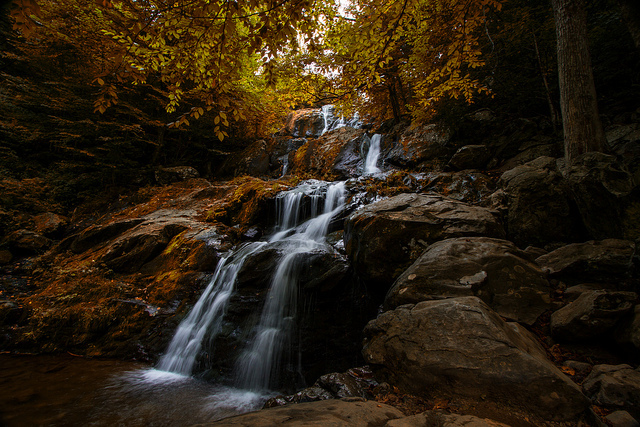 Whiteoak Canyon is home to many beautiful waterfalls, and is one of the most popular hikes in the park. This circuit is a must-see, but it should ideally be visited during the week. Heavy trail traffic during the weekend makes the hike less enjoyable and backcountry camping somewhat more difficult. You can find the trailhead at Hawksbill Gap off of MP 45. A variation of the Big Meadows & Rose River trip listed above, this is a fantastic two-night trip in the backcountry. Included is a visit to Hawksbill Summit, the highest peak in Shenandoah National Park. However, this hike also has the first night at Big Meadows campground—be sure to plan ahead. You can find the trailhead at Milam Gap off of MP 53. Overall Run & Beecher Ridge is a fun one-night trip for the intermediate backpacker. 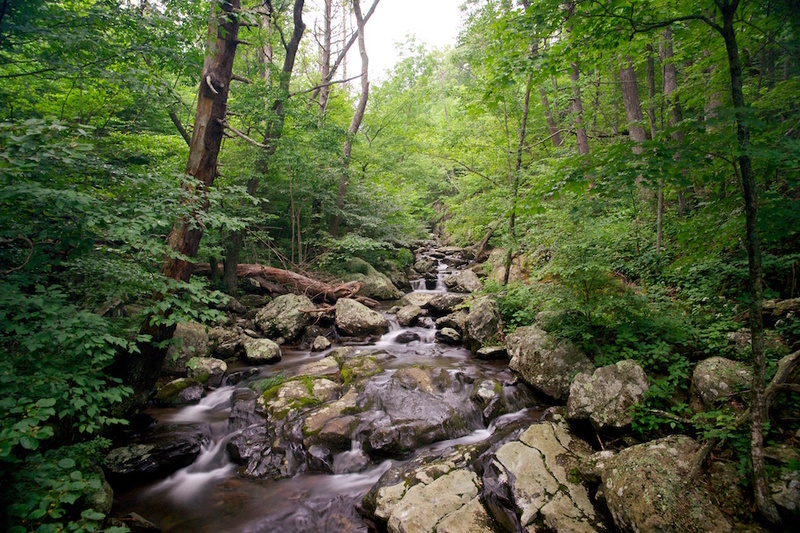 A nice summer destination, Overall Run & Beecher Ridge has the highest waterfalls in all of Shenandoah at around 93 feet, along with a few swimming holes. You can find the trailhead at Hogback off of MP 21 or near MP 21.1 parking. This circuit is a fairly flexible trip with an optional extra day of backpacking along Big Run Portal for a total of three nights. Along with the exceptional wilderness and fishing along Big Run, this trip also features three popular waterfalls along Doyles River and Frazier Discovery Trail. You can find the trailhead at Loft Mountain Wayside off of MP 79. A slightly lengthy trip for the more experienced, this circuit features fabulous views, 83-foot waterfalls, and mission ruins. It is recommended to wear blaze orange during hunting season, as the trail passes through Rapidan Wildlife Management Area at some points where hunting is allowed. You can find the trailhead at the South River Picnic Area off of MP 63. Great for those looking for Spring Break plans or an adventurous vacation, this trip features the best bits of Shenandoah. With high peaks, river crossings, and waterfalls, Central District Highlights is perfect for those who want to experience a large portion of the park but don’t have the time to commit to a full thru hike. Old Rag is summited on the second day for some of the best views of the Shenandoah Valley. You can find the trailhead at the Meadow Spring Area off of MP 34. A true challenge, a thru hike of the Appalachian Trail through Shenandoah can be done in a few different ways. Depending on physical ability and time constraints, the hike can either be done as a quick 7-night, 15-mile a day trek or as a slightly more relaxed 13-night, 8-mile per day trip. You can find the trailhead at the Rockfish Gap/South Entrance area off of MP 105. As always, remember to brush up on Leave No Trace principles and SNP regulations before heading out. Also, all backcountry camping in Shenandoah requires a permit—make sure to plan ahead or pick one up at a station before entering the park. For more information about the park or trip details, click here. Previous Article18 minutes without oxygen: Can humans learn survival secrets from naked mole rats?